Join us on a incredible journey! 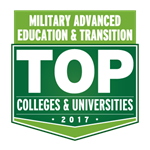 The destination of choice for Student Veteran Success…our new tradition! Recently, many former students & loyal Aggie supporters have taken a bold step. With their donations & leadership, we have started to forever transform how Texas A&M serves & respects those who have served our great country. Our new Aggie path to achieve excellence & create life changing opportunities has just begun. 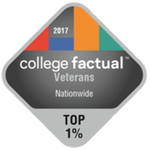 We have over 1,250 Aggie student veterans: enrollment has nearly doubled in 5 years. Nearly 1/2 are married; many with children. They are older; typically 27-34. Most served 6 or more years and have multiple combat tours. About 1/3 will exhaust their GI Bill benefits before they graduate. 44% report an annual household income of less than $18,000. Over 1/2 work (one or more part time jobs) to make ends meet while they are in school. 79% of our student veteran spouses work either full or part time. With our support, they are extremely successful & enrich our classrooms and community! Your donations are critical to Student Veteran success! If you have a Foundation on line account, log in. If not, you will create one when filling out the gift form. Aggie Veteran Enrichment Fund: To ensure continuous support for future growth in programs and overall student veteran support. Veteran Resource & Support Center: To provide discretionary funds for events & programs that enhance student veteran success. VRSC Non-Endowed Scholarship Account: To provide smaller student veteran scholarships on a “one time as needed” basis. 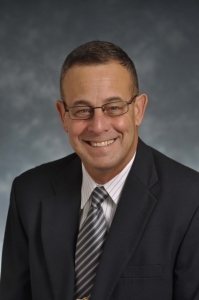 Delta Company Scholarship Fund: To support combat veterans in the Corps of Cadets. Fill out individual or organization name and information as prompted by the web page. 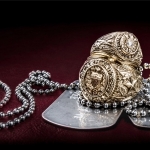 To give online: https://www.aggienetwork.com/give/ringscholarship/ *Make sure to write “Aggie Rings for Veterans” in the comments box. To give via check: Make the check out to The Association of Former Students and write Rings for Veterans in the memo line. Mail to: The Association of Former Students, ATTN Sheila Nelson, 505 George Bush Dr., College Station, TX 77840. For nearly a century, Texas A&M has been repeatedly challenged to support surges in student veteran enrollment. Despite continuous veteran enrollment since 1919, no permanent support was ever established. It is time to make a bold statement about the pride and value that Texas A&M places on those who have served our nation when they return to our campus. Student Support is the highest priority. We must significantly increase direct student support in the form of scholarships, textbooks, unique and individualized programs, Aggie Rings, support for key military affiliated student organizations (Student Veteran Association, Delta Company, & Aggie Shields). VRSC Support includes the sustainability and future VRSC enhancements to accommodate the diverse needs of student veterans. With future endowed support, TAMU will begin setting national best practices and become a true leader in student veteran support. Campus Support focuses on ensuring the future development of The Texas A&M Center for Student Veteran Excellence. This center will unlock the unique potential and opportunity that exists at TAMU to become the “national destination of choice” for military affiliated student success.